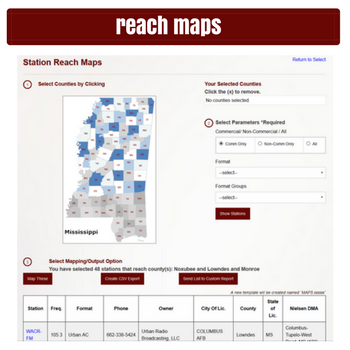 The Reach Maps mapping feature allows you to plot radio station signal coverage areas for specific counties. Select a county, and see what radio stations can be heard in that county! Please contact us in order to learn more about the benefits of having access to our Reach Maps.